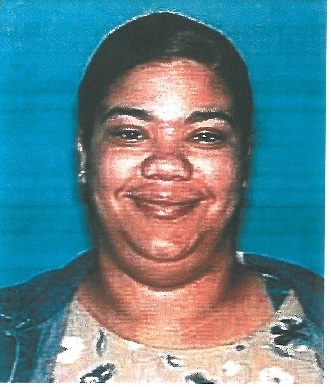 Killeen Police are seeking assistance in locating a female who may have information about the Danydia Thompson case. Seven year old Danydia Thompson was abducted during the morning hours in the 900 block o Rev R.A. Abercrombie Dr. in Killeen, on April 30, 1997. She was located deceased days later, south of Killeen along Highway 195. Witnesses reported that she walked away from an area near the school with an adult black male. 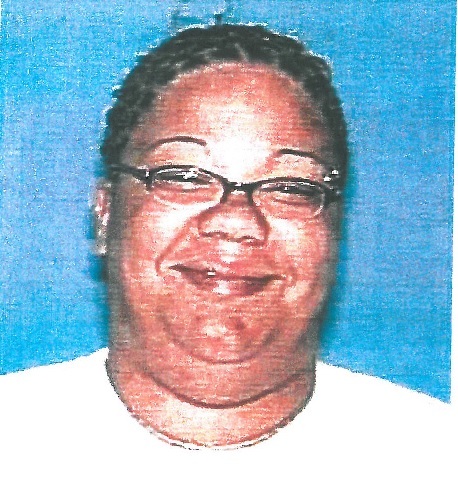 She was last seen riding “piggy back” on her abductor near the intersection of Veteran’s Memorial Boulevard and Jeffries Avenue in Killeen. Detectives have followed numerous leads and have reason to believe Maria Lashawn Taylor may have information about this case that could possibly lead to the arrest of a suspect. Taylor has been known to live in Caldwell, TX and frequents cities in the Central Texas area. Detectives are asking anyone who may have information on Maria Lashawn Taylor’s whereabouts or has information about the Danydia Thompson case, to contact Crime Stoppers at 526-TIPS (8477), go online anonymously at www.bellcountycrimestoppers.com or text BELLCO along with the tip to 274637. Text HELP to 274637 for help with the tip or text STOP to 274637 to stop the tip. All information is confidential and anonymous and if your tip leads to the arrest of the suspect in this case you could be eligible to receive a reward up to $1,000 in cash. Officers responded to a report of a suicidal subject in the 4500 block of Golden Gate at 11:38am on Friday, April 04, 2014. Upon the officers’ arrival to 4509 Golden Gate, they were attempting to talk to the male at the residence but he was being uncooperative. As the officers continued to attempt to speak with male, he came outside of the residence armed and began charging at one of the officers. The officers commanded him to drop the weapons, but he continued to charge the officer in a threatening manner; the officer was forced to defend himself by using deadly force. The suspect was immediately transported to the Carl R. Darnall Army Medical Center and underwent surgery. He was subsequently airlifted to Scott and White Memorial Hospital and where he underwent another surgery; he was listed in critical condition at that time, but eventually released from Scott & White Hospital. This case was reviewed by the Bell County District Attorney’s Office and a complaint was returned charging Titus Latchison with Aggravated Assault on a Public Servant. He was also indicted by a Bell County Grand Jury on the Aggravated Assault charge. Latchison was released after posting bond and was awaiting his trial. On Saturday, Sepember 4, 2015, Titus Latchison was pronounced deceased at the VA Hospital in Temple. Justice of the Peace Don Engleking ordered an autopsy to be performed at the Southwestern Institute of Forensic Sciences in Dallas. The Killeen Police Department is awaiting the final autopsy results that will determine Mr. Latchison’s cause of death. It is unknown when the final autopsy results will be available. 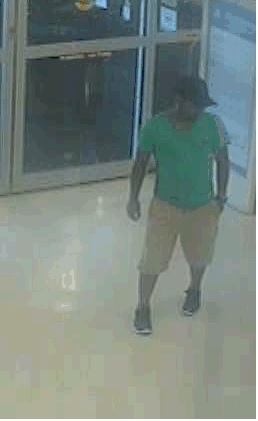 Killeen Police asking for assistance identifying a Theft and Debit/Credit Card Abuse suspect. On Tuesday, August 25, 2015, an officer was notified of a theft that had taken place in the 5000 block of Tiffany Circle. 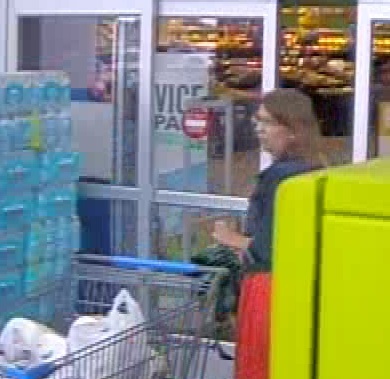 The reporting person advised their wallet had been stolen from their residence and their debit card had been used at a Walmart store in Killeen. Detectives are asking anyone who can identify the suspect in this Theft and Debit/Credit Card Abuse, to contact Crime Stoppers at 526-TIPS (8377) or go online anonymously at www.bellcountycrimestoppers.com or text BELLCO along with the tip to 274637. Text HELP to 274637 for help with the text or text STOP to 274637 to stop the tip. All information is anonymous and confidential; if your information leads to the arrest of the suspect in this case you could be eligible for a reward up to $1,000. On Tuesday, October 6, 2015, neighborhoods throughout Killeen are being invited to join forces with thousands of communities nationwide for the “32nd Annual National Night Out” (NNO) crime and drug prevention event. From 6pm to 9pm on October 6th, residents in neighborhoods throughout Killeen and across the nation are asked to lock their doors, turn on outside lights and spend the evening outside with neighbors and police. Neighborhoods are encouraged to host a variety of events such as block parties, cookouts, contests, and youth activities. Call and register your neighborhood so they will get a visit from the police department, fire department and McGruff the Crime Dog. If you would like to register your neighborhood or want more information please contact Killeen Police Department Crime Prevention Coordinator, Tammy Moseley at 501-8805. 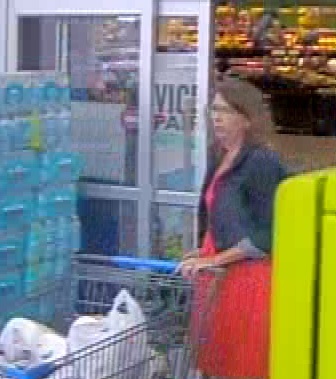 Killeen Police investigate a Fraudulent Use of Identifying Information case. 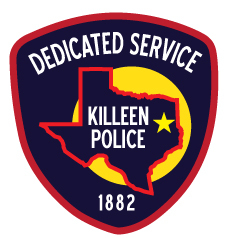 On Monday, August 24, 2015, detectives with the Killeen Police Department were asked by detectives with the Coppell, TX, Police Department for assistance. There was a report filed in Coppell after the victim had his debit card used without his permission in Killeen. The victim found that purchases were made at three different locations in Killeen and a still photo was obtained of the suspect. Detectives are asking if anyone can identify the person in the attached photo to contact Crime Stoppers at 526-TIPS (8477) or go online anonymously at www.bellcountycrimestoppers.com or text BELLCO along with the tip to 274637. Text HELP to 274637 for help with the tip or text STOP to 274637 to stop the tip. All information is confidential and you can remain anonymous. If your tip leads to the arrest of the suspect you could be eligible for a reward up to $1,000 in cash. Killeen Police are investigating a stabbing in the 700 block of E. Ave. G.
Officers responded to a report of stabbing at 710 E. Ave. G on Monday, September 07, 2015, at 9:57am. Upon the officers arrival they located a 49 year old male with a stab wound. He was transported to Metroplex Hospital with what is believed to be a non life threatening wound. The preliminary investigation revealed that there was an altercation and at some point during the altercation the male was stabbed with an unknown object. KPD Investigates Stabbing on Rancier Ave.
Killeen Police investigate a mid morning stabbing. Officers responded to a report of a stabbing at the First Cash Pawn located at 908 W. Rancier Ave., on Wednesday, September 2, 2015, at 9:50am. The preliminary information is that two males, that appeared to know each other, were involved in an altercation inside the business when one of the males stabbed the other. The suspect fled the area. The victim, a 45 year old male, was transported to Scott & White in serious condition. There is no information at this time on the suspect and the case is still being investigated by the Criminal Investigations Division. Information will be released as it becomes available. Detectives are asking anyone who may have information about this incident, to contact Crime Stoppers at 254-526-TIPS (8477) or go online anonymously at www.bellcountycrimestoppers.com or text BELLCO along with your tip anonymously to 274637. Text HELP to 274637 for help with the tip or text STOP to 274637 to stop the tip. All information is confidential and if your tip leads to the arrest of person responsible for this crime, you could be eligible to receive up to $1,000 in cash.